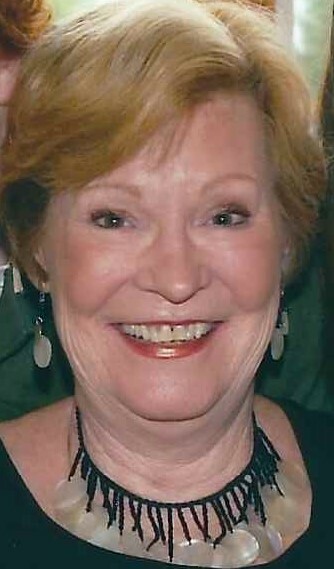 Barbara A. O'Neill, 79, of Johnsburg, passed away Sept. 1, 2018 at Journeycare Hospice in Barrington. She was born in Chicago on Aug. 17, 1939. In her early years she was a Den Leader for the Boy Scouts. Barbara was an artist, avid golfer and member of McHenry Country Club. She enjoyed boating and retired to Nokomis Florida where she volunteered much of her time and made many friends at the Inlets Community. Barbara enjoyed cooking and had a flare for interior decorating. A loving Mother, Mamo, and Great Mamo. She is survived by her children, Michael O'Neill, Norine (Warren) Moulis, and Pete O'Neill; grandchildren, Brian O'Neill, Terrance John "T.J." O'Neill, Neil Moulis, Davin (Tony Nissen) Moulis, and Haily (Tim Donley) Moulis; great grandson, Luke Moulis Nissen; sister, Aggie (Jim) Thavis; brothers, Michael (Marguerite) Ridge and John Ridge; sister-in-law, Maureen Ridge, and many nieces and nephews. Barbara was preceded in death by her parents; Peter Ridge and Mary (Davin) Ridge; beloved husband, Terrance O'Neill; son, Thomas O'Neill; brothers, Peter Ridge and Thomas Ridge. A graveside service will be held on Thursday, September 6, 2018 at 10am at St. John the Baptist Cemetery, 2302 W. Church St., Johnsburg, IL with Fr. Jacek Junak, C.R. officiating. In lieu of flowers donations may be made to the COPD Foundation, 3300 Ponce De Leon Blvd., Miami, FL 33134, online at donate@copdfoundation.org or to Journeycare Hospice, 405 Lake Zurich Rd., Barrington, IL 60010, online at journeycare.org. Arrangements entrusted to Hamsher Lakeside Funerals and Cremations, 12 N. Pistakee Lake Rd., Fox Lake, IL 60020.